MUNICH (Bloomberg) -- Volvo will introduce the new S90 sedan next year to replace its struggling S80 model as the automaker takes on cars from BMW, Mercedes-Benz and Audi in a bid to boost annual deliveries 70 percent by the end of the decade. With the new S90, Volvo is relying on Swedish design and reliability to offer an alternative to the BMW 5 series, Mercedes-Benz E class and Audi A6 after the S80 failed to muster much of a challenge. Volvo sold about 12,500 units of the S80 last year, while BMW delivered more than 373,000 5-series cars. Following the introduction of the XC90 sport utility vehicle this year, the S90 is the next step in Volvo's effort to boost annual sales to 800,000 vehicles by 2020. Volvo expects that at least 80 percent of the sedan's buyers will be new to the brand, about double the rate on the XC90. "The S90 is the ultimate test," Alain Visser, Volvo's sales chief, said at a briefing at the company's headquarters in Gothenburg. "Of all the cars we'll be launching in the next four years, from my point of view, the most challenging is the S90." 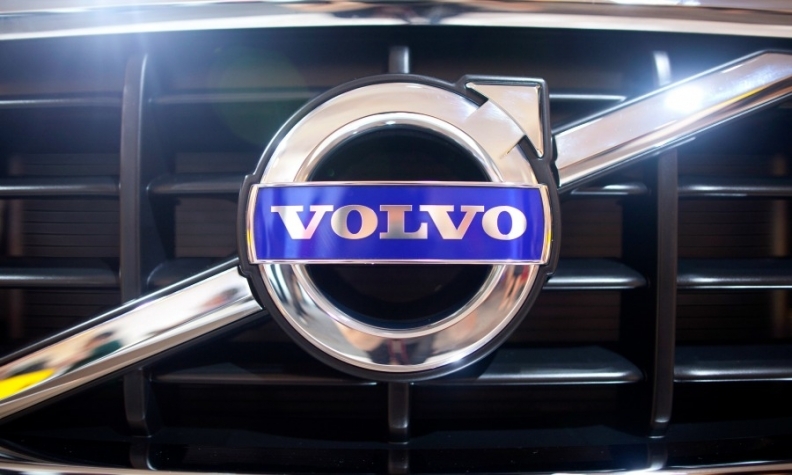 As it completes a five-year, $11 billion investment program, Volvo is at a delicate phase. The Swedish carmaker was bought by Chinese billionaire Li Shufu's Zhejiang Geely Holding Group Co. from Ford Motor in 2010 for $1.8 billion and it now needs to deliver results. Its profit margin in the first half of 2015 was 2.2 percent of revenue, compared with BMW's 8.9 percent. The revamped XC90, which lists for $49,800, was the first model developed entirely under Li's ownership. Its reception has been positive, with the waiting list as long as six months in Sweden and customers choosing higher-priced design features or going for the more expensive plug-in hybrid version, Visser said. As of the beginning of this week, Volvo had received orders for 65,000 XC90s, exceeding the full-year target of 50,000. Volvo, which also sells the midsize XC60 SUV, is considering a smaller model to appeal to the growing number of customers seeking crossovers of all shapes and sizes. "If you would pick some models being the most important to Volvo, it's the SUV segment, which is growing rapidly, and you need a smaller one, of course," said CEO Hakan Samuelsson, 64, who also said his contract has been extended three years. The new S90 will be unveiled at the Detroit auto show in January and will be followed by the V90 wagon version. The company is skipping the Frankfurt motor show next week as part of an effort to make the most of its marketing budget. Instead, the brand is reaching out to customers with its "Volvo in a Box" pop-up stores at places like a food festival in Dusseldorf, Germany. For Volvo, having a stand at Frankfurt's sprawling exhibition would be "spending millions of euros to show that Audi, BMW and Mercedes are a lot bigger than us," Visser said.